Do you have students who need extra support learning the classroom rules? I have created this social story to use in my special education class and would love for you to have a FREE copy of this story to use as a tool with your students. 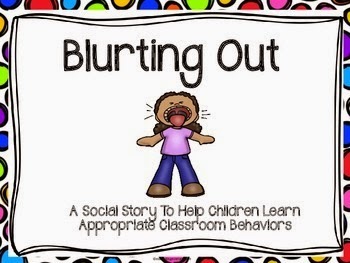 Just click on the link below to download and print this "Blurting Out" social story. I hope you enjoy this tool for your educational toolkit!